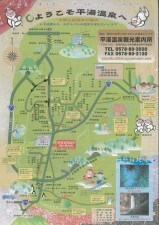 It is located on the back of “Ryokan Alps” in Hirayu Onsen. There is a sign on the top of the utility pole in the corner. It is easy for guests who come on foot to find the access. It is difficult for guests by car to turn the corner of the next road to Ryokan Alps. 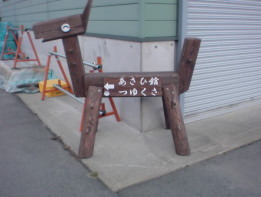 There is a wooden horse of the photo in front of the “Nagase Suppon farm”. Please go to the direction that the wooden horse indicates. It’s about 300 meters from here and there are three wooden horses in all. Please print it out to use. 当館へのアクセスについてAbout the access to Tsuyukusa. You see a large map. The Bus timetable such as Kamikochi, Norikura, Shin Hotaka, Takayama, Shinjuku,Matsumoto, please refer to the website of Nohi bus! 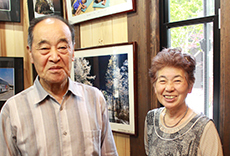 上高地への観光バス・マイクロパス乗入規制About the regulation of driving into Kamikochi of tourist buses and microbuses. 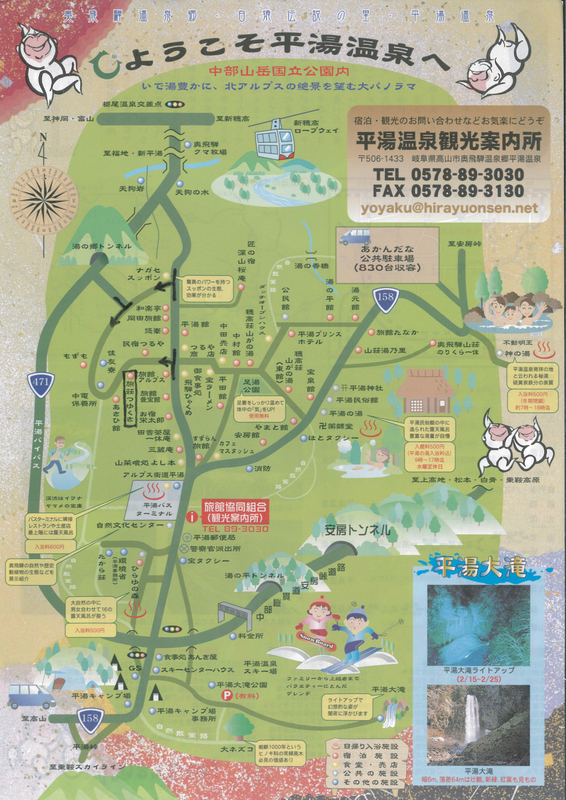 Nagano Prefecture official website Kamikochi traffic regulation.